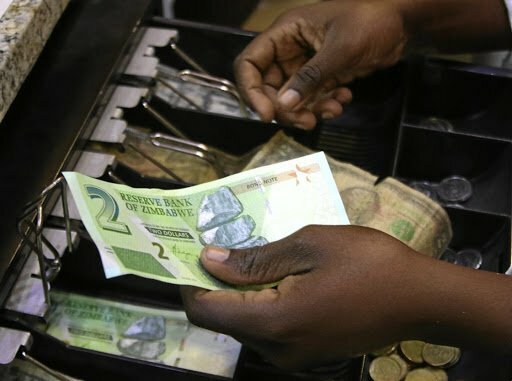 Zimbabwe’s currency reforms have not gone far enough and complete liberalization is needed to end a critical shortage of foreign exchange that is hampering business, senior executives from the nation’s mining industry said. Zimbabwe began formal trading in February of what’s effectively a new currency, known as RTGS dollars, through a newly created interbank market. While it abolished a 1:1 peg between the U.S. dollar and the RTGS$’s predecessor, bond notes and their electronic equivalent, trading has been thin and the difference between the interbank rate and the black market remains wide. It’s one of the flagship policies of Finance Minister Mthuli Ncube and what he says is an initial step toward the reintroduction of a fully fledged currency that could be traded abroad. The country abandoned the Zimbabwe dollar in 2009 after inflation surged to 500 billion percent, rendering it worthless. It then allowed the use of various currencies including the U.S. dollar and in 2016 introduced bond notes, which rapidly started trading at a discount on the black market. The RTGS$ traded at a record low of 3.1383 to the U.S. dollar on the interbank market Wednesday, according to the country’s central bank. The black-market rate was 4.36. Ncube, who was appointed by President Emmerson Mnangagwa last year, has been tasked with reviving an economy close to collapse as a result of the policies of former leader Robert Mugabe, who was ousted in 2017. “Currency convertibility is the big issue and remains the big issue,” said Richard Tait, executive director of Mangwana Capital, a Zimbabwe-based investment advisory firm. Still, further reforms are expected to be slow. “It’s like opening a pressurized can, you need to do it slowly,” RioZim’s Nkomo said. Currency crisis: What would the MDC Alliance do?